Vogelaar vredehof | Vogelaar Vredehof b.v. This sums up the vision held by Vogelaar Vredehof. 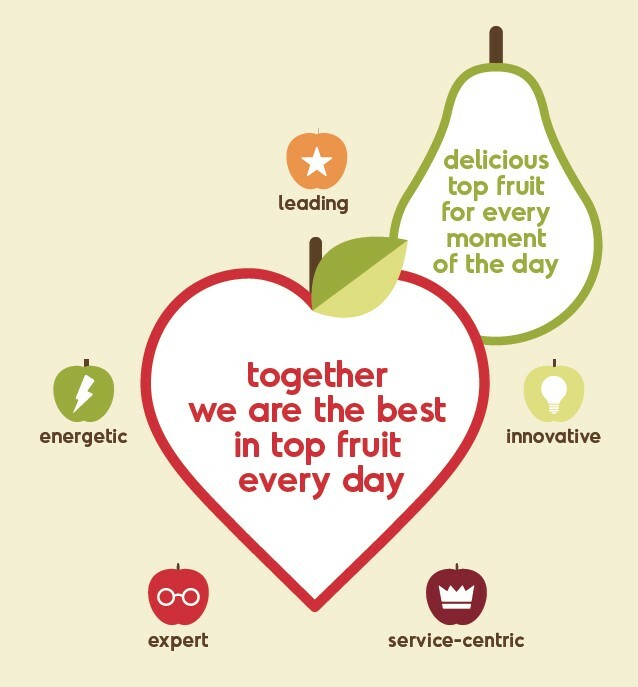 That’s why we, in partnership with our customers and suppliers, strive for excellence in top fruit each and every day. Our customers and partners can rely on Vogelaar Vredehof to supply the very best quality without fail on a daily basis. Expert: reliable, no-nonsense and expertise. We know what we are doing and show it, without complicating matters. Excellence in our products and services, but also in how we work with our partners, for example. 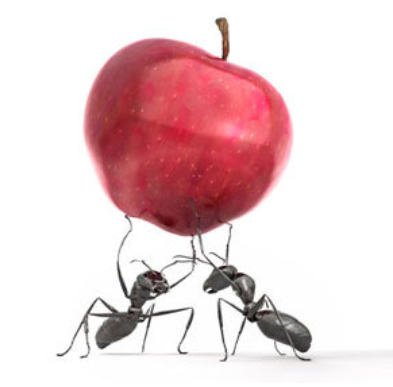 Service-centric: committed, flexible and valuable input. Our service-centric attitude not only focuses on customers, but also extends to the mutual relationships between our employees and cooperation with other partners in the market. Energetic: enthusiastic, driven and motivated. In what we do and what we say, in communication and in cooperation. Innovative: surprising, open-minded and inventive are words that describe innovation at Vogelaar Vredehof. In relation to marketing, products and packaging, but also when it comes to everyday problems that demand an innovative solution. Leading: confident, proactive and superior quality. 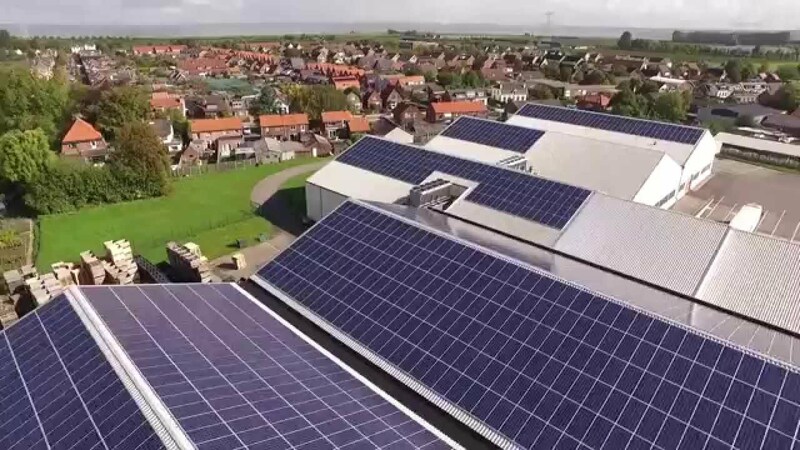 The head office is located in Krabbendijke, at the heart of the major fruit growing region in the south west of the Netherlands, strategically situated between the ports of Rotterdam, Antwerp and Vlissingen. Vogelaar Vredehof also has branch in Enspijk, which is in the other major fruit growing in the Netherlands: the Betuwe. In 1998, Sarl Atlanpom was founded in Freigne, France. Freigne is located in one of the important fruit growing regions in France: the Loire valley. In cooperation with a group of affiliated growers, Atlanpom can produce a wide range of varieties over a long period. Atlanpom has its own cooling and grading and sorting facilities. It serves a customer base that includes supermarket chains, national wholesalers and international import companies. All growers are Global Gap certificated. This means they meet the standard for food safety, sustainability and quality of cultivation and supply chain. Selected growers comply with the customer-specific protocols and thus guarantee an excellent quality. The sorting and packaging stations in Krabbendijke and Enspijk have a BRC and IFS certificate that guarantees food safety. Organic products are sorted and packed separately, completely according the requirements of the SKAL certification. 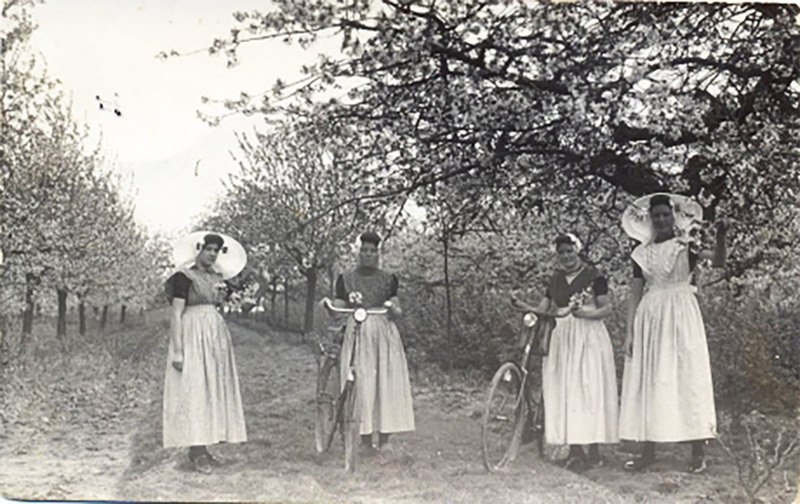 Back in 1932, brothers Theodoor and Leendert Vogelaar started cultivating fruit under the name Vredehof. After the end of World War II, they started to specialise in growing top fruit and planted all their land with orchards of apples and pears. 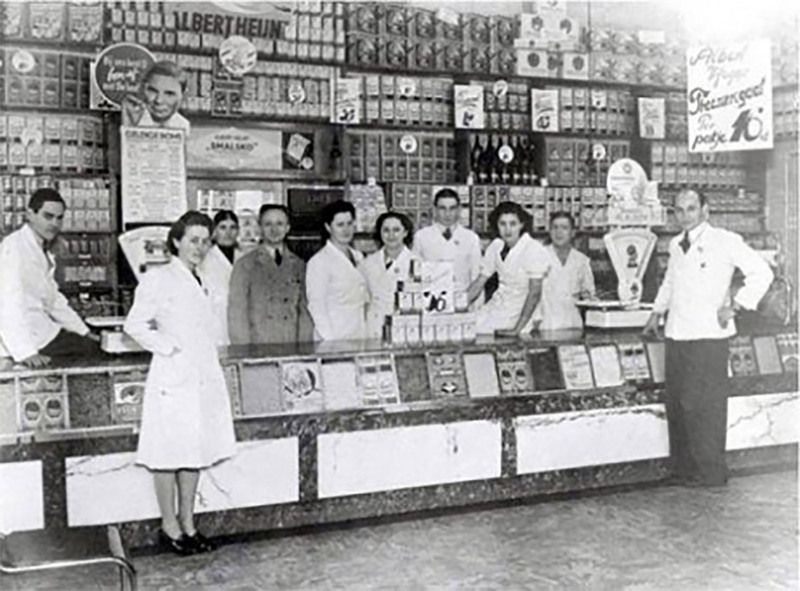 The initial contacts were made with supermarkets at the end of the 1960s. Since that time the company has continued to show steady and sustained growth. 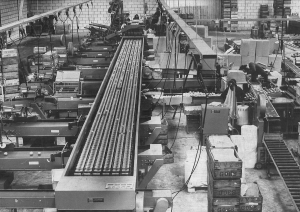 Over the years, the trading, packing and distribution activities of the company have expanded immensely and today Vogelaar is proud to serve customers all over the world. Vogelaar is an expert and reliable partner. Our purchasing and marketing activities have also proven to be of great added value to our customers.